Prior to forming EQUIS Hospitality Management, LLC with his brothers, Doug and Greg Mullenix, and an affiliate of Rockbridge Capital, LLC in 2005, Michael held various positions in his family’s real estate development, investment, and management firm, The Mullenix Companies based in St. Louis, Missouri from May 1988 until the family firm was disbanded in 2005. During his tenure at the Mullenix Companies, he oversaw the development and sales of 8 residential subdivisions containing 282 single family homes and condominiums. Additionally, he headed its Multifamily Development and Management Group where he oversaw the operations of the firm’s Portfolio of Apartment Communities consisting of 2,700 units. From 1990 to 2007, Michael capitalized, developed, and managed four new residential properties totaling 818 apartment homes. In addition, Michael formed a third-party management division to manage financially distressed properties for financial institutions and stabilized properties for absentee ownership groups and this division managed over $100,000,000 in assets for third-party owners. For portfolio diversification, in 2004, Michael led the firm’s acquisition of the 200,000 square foot Hughes Supply, Inc. (now Home Depot Supply) headquarters office building in downtown Orlando, Florida in sale-lease back transaction. In 1995, Michael led the Mullenix Companies into the Hospitality business with the development of the 80 room Fairfield Inn by Marriott St. Louis/St. Charles, MO in 1995. In 1997, Marriott International, Inc. selected the Mullenix Companies as a launch Developer of its newest extended stay hotel brand, TownePlace Suites by Marriott. Michael developed and opened four new TownePlace Suites hotels from 1997 to 2000 in St. Louis, Missouri and Indianapolis, Indiana. Marriott International, Inc. selected Michael to be the brand’s first Franchise Advisory Council (FAC) President. In addition to his service as President, Michael has served in other capacities with Marriott and its Owner liaison committees such as its Design and Development Committee and its System Marketing Fund Committees. From 1995 to 2005, Michael developed, owned, and managed 9 Marriott Flagged hotels: 3 Fairfield Inn by Marriott hotels, 4 TownePlace Suites by Marriott hotels, and 2 Residence Inn by Marriott hotels. As the family firm was dissolved in 2005 with the retirement of his Father, Michael was responsible for dispositions of almost $100,000,000 of Mullenix Companies assets that would not move under the EQUIS Hospitality Management, LLC umbrella. Simultaneously, Michael acquired approximately $80,000,000 of the family firm’s hotel assets for his new EQUIS Hospitality Management, LLC venture. Since founding EQUIS Hospitality Management, LLC, Michael has positioned the firm for sustainable growth by forming capital alliances with both Columbus, Ohio based Rockbridge Capital, LLC and Chicago, Illinois based Syndicated Equities, Inc. After the Mullenix Companies hotel purchase, Michael capitalized over $120,000,000 in new hotel acquisitions and new development projects. The 240 room Residence Inn by Marriott in Alexandria, VA (Old Town) was acquired in April 2007 and was completely renovated by an EQUIS affiliate in September 2008. The 104 room Homewood Suites by Hilton St. Louis Airport/Riverport was developed and opened in July 2007. EQUIS Hospitality opened the 158 room Homewood Suites by Hilton at the St. Louis Galleria on July 1, 2009. During 2010 & 2011, Michael oversaw the creation, development and opening of Hotel Ignacio, a small 51 room boutique hotel owned by Saint Louis University in the Grand Center Theater/Arts District near its campus. The upscale hotel opened successfully in April 2011 and is operated by the University. 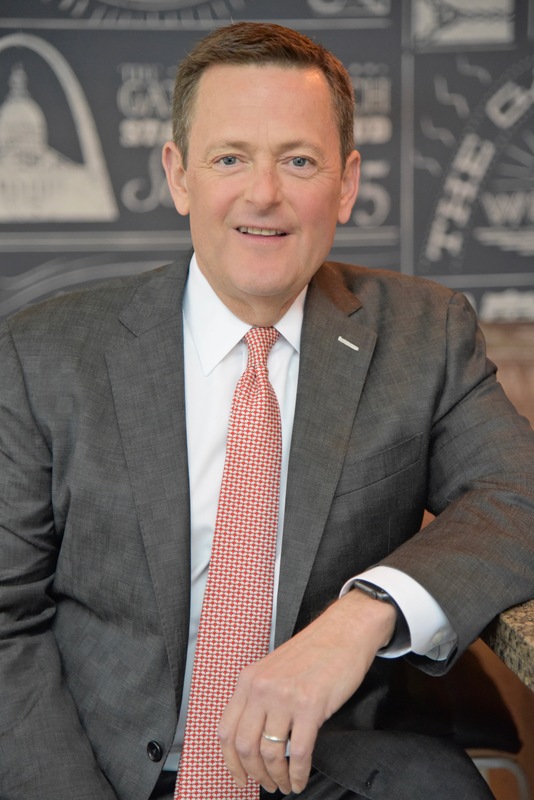 Currently, Michael, as EQUIS’ CEO, actively oversees the management of its portfolio of 7 hotels and is seeking new acquisition, development, and management opportunities for the hospitality firm. This year Michael will managing the development and reposition of the former Daniele hotel in Clayton, MO into a 106 Hampton Inn & Suites by Hilton. The hotel is set to open in early 2014 and is the first hotel developed in Clayton in over 20 years. Michael will also be overseeing the renovation of two of EQUIS’ hotels: the Residence Inn by Marriott/St. Louis Airport, and the Fairfield Inn & Suites in St. Charles, Missouri. Additionally, he is actively seeking construction financing for a 200+/- room hotel for the final phase of his Fountains Development at the St. Louis Galleria adjacent to his Homewood Suites hotel. Michael still maintains minority ownership interests in his family’s remaining commercial real estate properties of approximately 1,100 apartment units in St. Louis, Missouri and a 200,000 square foot office building in Orlando, Florida. Prior to Michael’s Professional Career, Michael received a B.A. from Vanderbilt University, Nashville, Tennessee in 1986, and a M.B.A. from Southern Methodist University in 1987. Prior to joining the Mullenix Companies, Michael worked for Paragon Group in Houston, Texas as a Financial Analyst. Michael currently maintains a Missouri Real Estate Broker’s License that he has had since 1985. Michael currently lives in Ladue, Missouri a suburb of St. Louis with his wife Brooke, and three daughters. He is former Board member of the Metropolitan School, and the Center of Contemporary Arts (COCA) in St. Louis, and Racquet Club Ladue. Currently, Michael serves as President of the Board of Directors of the Ritz Carlton Club Bachelor’s Gulch located in Beaver Creek (Avon), Colorado. Michael is a member of the St. Louis Chapter of the Young Presidents Organization (YPO).